EA and DICE have officially launched Battlefield 4 for Xbox 360, PS3, and PC. The game will ship for Xbox One and Playstation 4 in mid-November (specific dates below). Like a lot of other games, players can pay $9.99 to upgrade to the next generation console versions when available and have their multiplayer stats transfer. Check out a multiplayer launch trailer below. REDWOOD CITY, Calif. – October 29, 2013 – DICE, an Electronic Arts Inc. (NASDAQ: EA) studio, today announced that Battlefield 4™ is now available in retail stores for the Xbox 360® videogame and entertainment system from Microsoft, the PlayStation®3 computer entertainment system and PC, as well as a digital download on Origin™. Powered by the advanced technology of DICE’s proprietary Frostbite™ 3 engine, gamers will experience the all-out-war and epic moments possible only in Battlefield 4. The game lets players wage war across land, air and sea with unparalleled vehicular combat, dynamic environments and a new level of destruction. Console players can start the battle today on current-gen and upgrade to next-gen for as low as $9.99* when those systems launch in November. Players will also be able to transfer their multiplayer stats at launch of the next-gen consoles so they can hit the ground running. Winner of more than 30 industry awards, Battlefield 4 has been praised as “glorious chaos” by GameSpot while Yahoo! Games states it “looks amazing and packs innovative multiplayer enhancements.” With its award-winning, best-in-class multiplayer, Battlefield 4 truly delivers the bleeding edge of interactive technology and gaming. Battlefield 4 has received 9.5 from GameTrailers.com, 9.0 from Joystiq, 8.75 from Game Informer Magazine and 8.5 from IGN.com. Battlefield 4 features an engaging single-player campaign and epic multiplayer online action. In the single-player, Battlefield 4 puts players in the boots of U.S. Marine Corps Sgt. Daniel Recker, member of the Tombstone squad. The world is on the brink of chaos, China is the tinderbox and the player is the inadvertent spark that could ignite a global conflict. Navigating the turmoil around them as they fight to save the final hope for peace between U.S., Russia and China, players will engage in combat on foot and by operating land, sea and air units. In multiplayer, Battlefield 4 offers a wide range of unique experiences. The varied and distinct maps, thrilling game modes and dynamic destruction ensure that no two games will be the same. Battlefield 4 players engage in close quarters squad-based combat and in vast battles commandeering tanks, jeeps, jets, helicopters and naval units. Whether in a jet dogfighting the opposing team or onboard an attack boat in a joint strike with squad mates, the freedom of choice is always present in Battlefield 4 multiplayer. Players will lead their team to victory by running and gunning at the frontlines, locating the perfect sniping position, or repairing critically damaged vehicles. Battlefield 4 lets players be more and do more on the battlefield to deliver an entertainment experience that is unrivalled. Fans looking to get the most out of their time on the battlefield can also join Battlefield 4 Premium. As Battlefield 4 Premium members gamers will receive themed digital expansion packs, two-week early access to each pack, plus additional content and new updates every week for only $50**. Battlefield 4 Premium includes the five expansions Battlefield 4 China Rising, Battlefield 4 Second Assault***, Battlefield 4 Naval Strike, Battlefield 4 Dragon’s Teeth and Battlefield 4 Final Stand. Fans that purchase Battlefield 4 Premium on current-gen consoles will also carry their membership forward on next-gen platforms. In addition to current gen consoles and PC, Battlefield 4 will also be available for the PlayStation®4 starting November 12 in North America and November 29 in Europe, and for Xbox One®, the all-in-one games and entertainment system from Microsoft starting November 19 in North America and November 22 in Europe. To join the conversation on Battlefield 4, please visit http://www.facebook.com/battlefield, follow us on Twitter® at www.twitter.com/battlefield and #BF4, or sign up for the official Battlefield newsletter at www.battlefield.com. 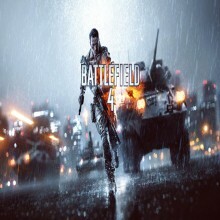 ** See http://battlefield.com/battlefield-4/premium for details.